If you were to draw a horizontal line through the centre of the Netherlands, (leaving Amsterdam aside) you would be left with Groningen as the largest city in the top half. 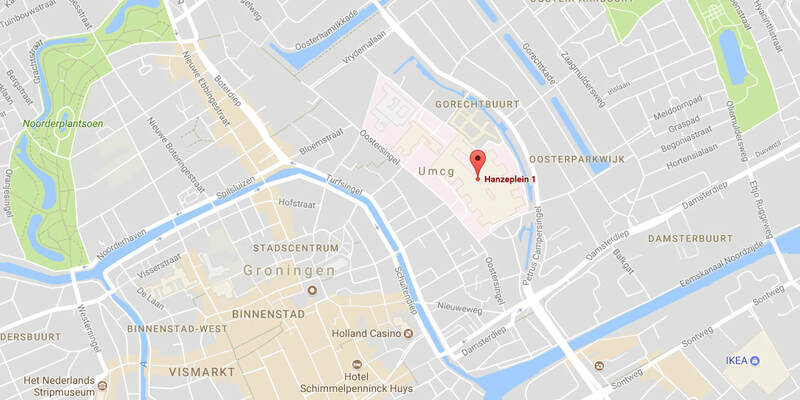 This automatically gives Groningen a strategic prominence over a vast area – with all the attendant economic and cultural dynamics that naturally come with that position. The city of Groningen is the capital of the province of Groningen, the most north eastern province of the Netherlands. The largest (203,000 people) urban centre in the area, it is a relatively undiscovered and unspoiled part of the Netherlands that has kept most of its authenticity. Groningen has been awarded the title of Best City Center in the Netherlands. In this bustling University City, everyone will find some of his liking. The striking Groninger Museum opposite the central station is an absolute eye-catching example of modern architecture. The Universiteitsgebouw, the Town Hall and of course the characteristic tower Martinitoren or 'the Old Grey' are also remarkable city markings. The Centre offers a vast supply of very diverse shops. The center of Groningen has been preserved and its attraction lies in a contrast between old and new Groningen. Founded in the third century, it has one of the oldest universities (1614) in the Netherlands. Its status as a major Dutch educational center has imbued Groningen with a vibrant arts scene, lively nightlife and a wealth of fascinating museums covering various topics from science to comics, and even tobacco. Almost 160 bars, cafés and discotheques, and scores of open-air terraces on which to enjoy a balmy (summer) evening. There is something for everyone - from the traditional Dutch 'brown café' to the trendiest hi-tech. And because Groningen is the 'youngest' city in the Netherlands (over half the population are under thirty-five) these bars are not only lively at weekends, but on weekdays as well. Of course, the city centre is not all bars and cafés. It is also a district in which people live, work, shop and soak up a lot of culture. It is rich in history and offers plenty for the visitor to see.